Looking for something unique and different? have a ganders at this amazing spa break to Amsterdam. The price of £99 each includes return flights and a 2 night stay at this really unique hotel. There are various options available to choose from which you can check out HERE. 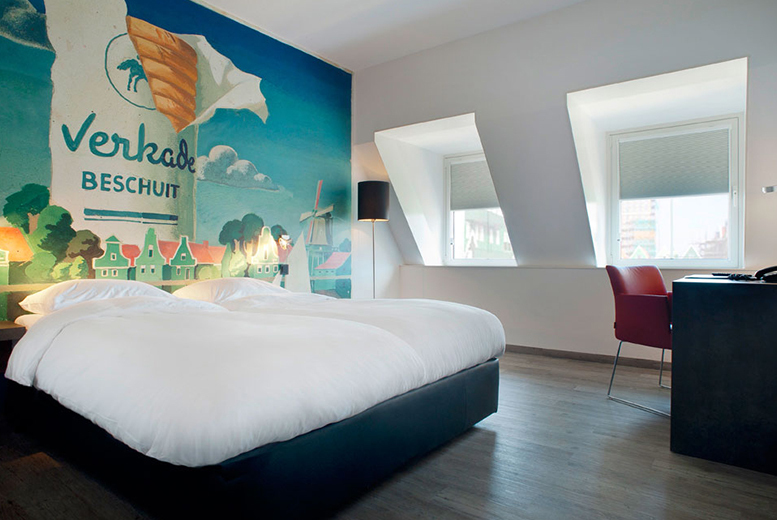 What’s included: Return flights, and two or three nights at the 4* Inntel Amsterdam Zaandam with spa access. From: London Gatwick, Luton, Southend, Edinburgh or Manchester. 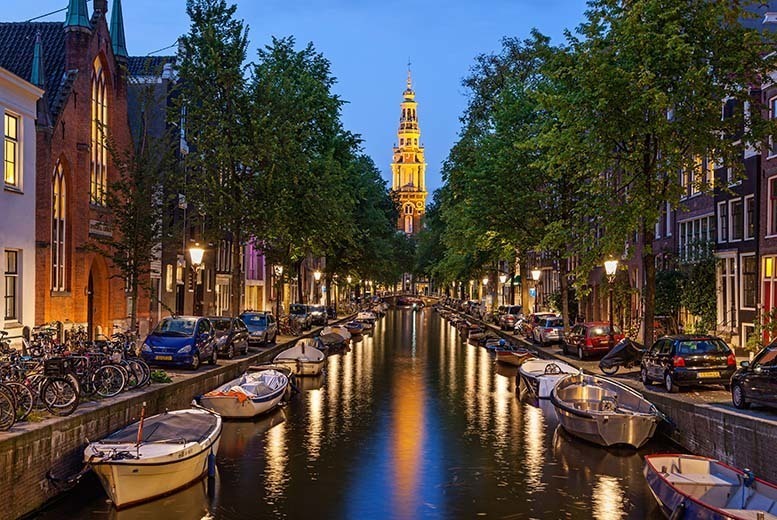 Area: Explore the many stunning galleries and museums on offer, as well as the fascinating Anne Frank Museum, Vondelpark, and the tranquil canals. We’re offering you a two-night 4* Amsterdam spa break including flights from just £99pp. 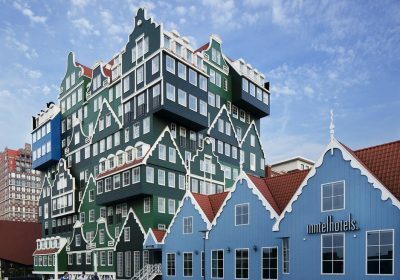 A true postmodern masterpiece of architecture and design, the 4* Inntel Amsterdam Zaandam is the perfect spot from which to explore Holland’s famous capital. Its design pays homage to the traditional stacked housing of the Zaan region, offering a bright, bold, colourful and luxurious modern twist on local heritage. Inside, you’ll find spacious, modern accommodation, Wi Fi access throughout and a fantastic range of spa facilities within the Wellness Club, including the heated swimming pool, Finnish sauna and Turkish steam bath. Here, you’ll be staying for two nights in a stylish en-suite bedroom, complete with TV. This amazing hotel not only has outstanding reviews on TripAdvisor and an average rating of 4.5/5 but it has been awarded a Certificate of Excellence Award. CLICK HERE to read the reviews for yourself. This holiday is financially protected by the ATOL scheme.